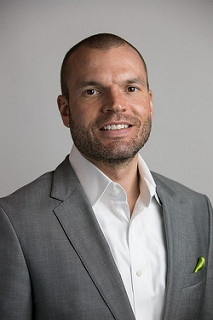 I am very excited to write this, the first blog post for our new company, Eide Chrysler. As a resident of this community for the past 12 years, I have seen a lot of change in the Bismarck/Mandan area. Our communities have grown steadily in that time, sometimes slowly, sometimes very rapidly. I think my favorite changes have been the evolution of downtown Bismarck. I love going out and having diverse options for for restaurants and shopping. I remember back when the place to be was TGI Friday's so we have come a long way. I live up in Horizon Heights. When I moved here, I don't know if there was even a house north of Ash Coullee. Now, there is hardly an open lot. I moved to Bismarck on January 1st, 2005 and started at Eide Ford the next day. I remember we had just got about a foot of snow the day before and the temperature was -40. Not much has changed there. But as for the dealership, a lot has changed. When I started at Eide Ford, I don't think we even had a website. 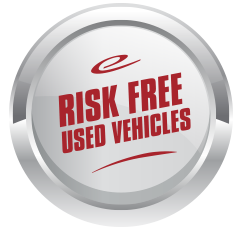 We were selling an average of 140 new and used vehicles every month. At that time we were maybe the #4 dealership in the market for new vehicle sales volume selling 40-50 new Ford vehicles a month, or a little less than 500 a year. It became my dream and my passion to get that dealership to #1 in the market in new vehicle sales. I worked tirelessly to try and figure out what we needed to do that our competitors weren't doing (I still do). We tried a lot of new things-some worked and some didn't. We took a lot of chances-some paid off and some didn't. And we worked, and continue to work, very hard. I think that's what sets us apart. Our people work very hard. We have asked a lot of them over the years and they do a great job. I am proud to say Eide Ford became #1 by selling 1,244 new cars and trucks in 2015, beating the number 2 dealer by nearly 150 vehicles. 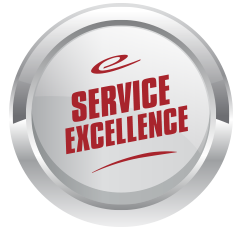 We also won Ford Motor Company's prestigious "President's Award" for excellence in sales and customer satisfaction. It took us 10 years to accomplish this feat. As of this writing, we are on track to do both again in 2016. My partners and I have been looking for an opportunity for another dealership in this market for a long time. 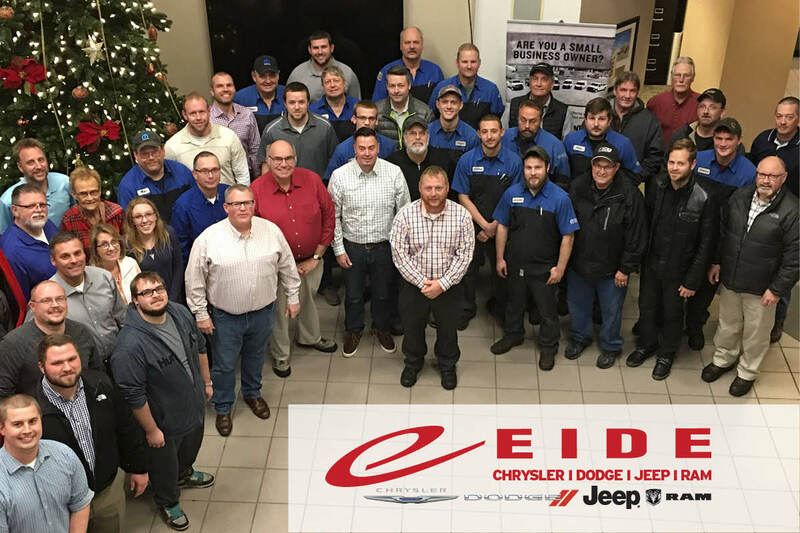 When the opportunity to purchase Eide Chrysler came up, we jumped at it, knowing that car dealerships don't change ownership very often here, and we may never have this chance again. 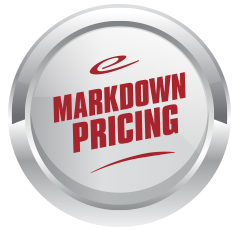 It gives us a chance to give our customers another option for new vehicles in this community at very competitive "Markdown" prices for which Eide Ford is known. It makes for "friendly competition" between our stores. We think the customer wins in this situation! It allows us to give our employees more opportunities for advancement. It sounds crazy to make an investment this big with employees in mind, but it factored into my decision-making significantly. My life has been Ford blue since 1984 (my dad was also a Ford dealer when I was growing up), but I happen to really like the color red – which we can proudly show on this website! This dealership will change the dynamic of the Eide organization forever. I have moved over to Eide Chrysler to run this dealership day-to-day and I can start a new dream of making this company #1 in the Bismarck/Mandan community. Yes, that would mean overcoming the current #1, but we are ok with friendly competition. I hope it's not another 10-year journey, but it will be a lot of fun trying. If you haven't been to Eide Chrysler since it opened this month, expect an excellent experience. It's part of our our mission statement: Create a lifetime customer by providing excellent products and customer service. Live by the motto of transparency and make the process of doing business simple, fast, and fun. Improved Sales Hours: 9-8 Monday-Thursday, 9-7 on Friday, and 9-6 on Saturday. Improved Service Hours: 7-7 Monday-Thursday, 7-6 on Friday, and 8-5 on Saturday. We're also offering the Every Day Markdown Pricing, Risk Free Used Program, Fair Market Trade Value, and Service Excellence which are all hallmarks of the Eide brand. Click any of the buttons below to learn more about these programs. I think the biggest thing I want to communicate to our employees, past customers and potential customers is that we are committed to being the best automotive dealerships in this state. To be honest, we don't get it right every time, but we take care of problems when they do happen. We strive to make our customers' experience 1st class, as our Mission Statement says: "Simple, fast and fun." 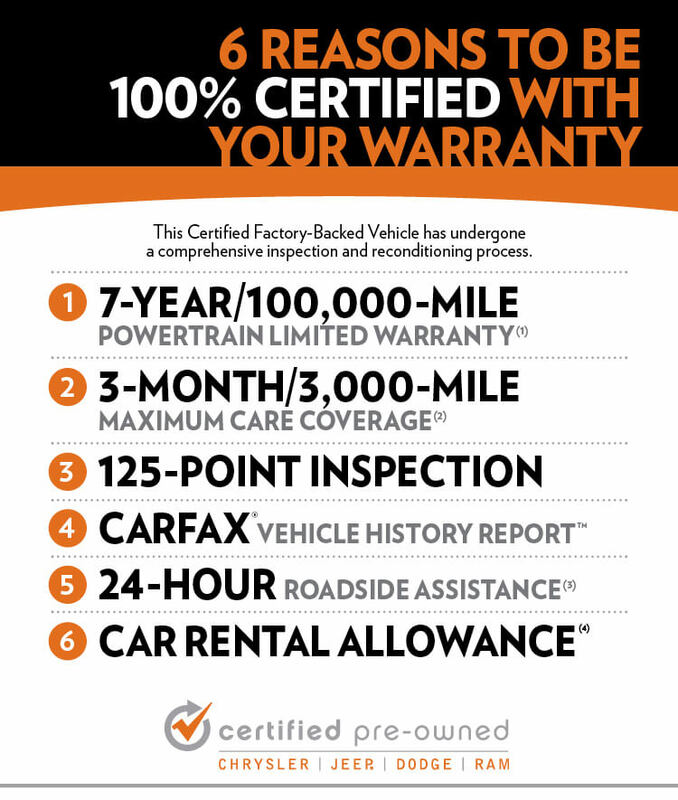 The first thing I would like to do is thank our many loyal customers at Eide Ford. We have been very fortunate to have a large base of customers who come back to us again and again for their vehicle purchases and service needs. We did figure out the secret to being the best by the way, it's simply to take care of the customer and they will keep coming back. I would also like to welcome our Eide Chrysler customers to our organization. We want you to know that taking care of you in the future is very important to us. I have put my e-mail address and cell phone number on our websites for years and welcome any customer to contact me directly if they wish. Thank you, Bismarck/Mandan. I look forward to serving you for years to come.